Austin and Emily started The Green Seed in the spring of 2014. 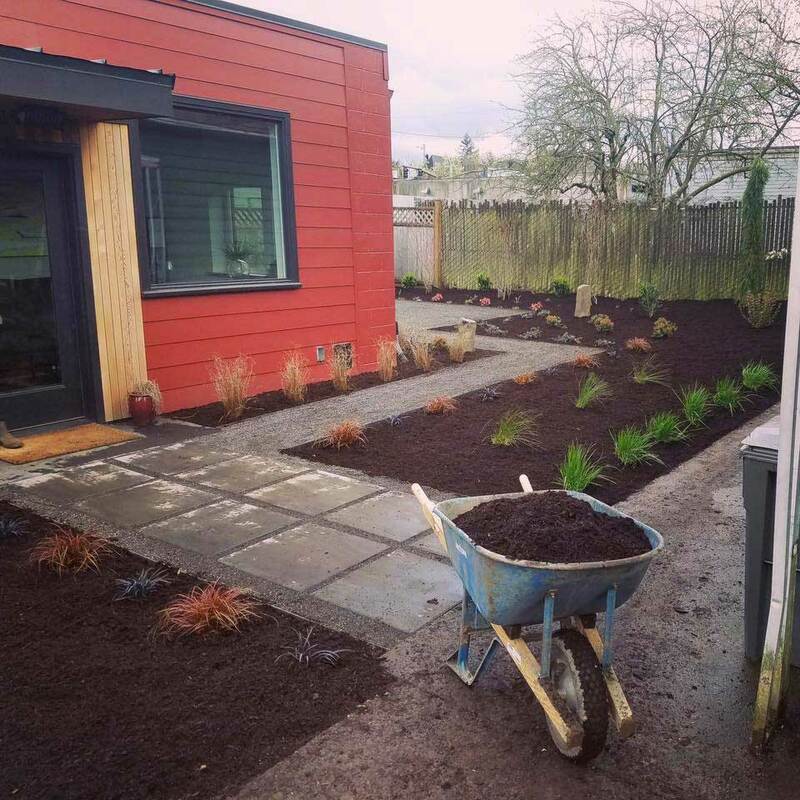 This family owned, sustainable landscape design business offers you a unique hands experience. Emily and Austin collaborate to bring their unique set of skills, knowledge, and experiences together in their work. Because of this, they create sustainable landscape designs that will compliment your home and outdoor needs. Within our sustainable landscape design and eco-friendly business, one of our main goals is to minimize our environmental impact. For that reason our work truck and mini skidsteer run on a biodiesel blend. In addition, TGS's use electric alternatives to traditionally gas powered equipment whenever possible. For instance we have electric mowers, string trimmers, chainsaws and backpack blowers. We continue to look for new and helpful ways to offer sustainable landscape design solutions.